Working on a large quilt can sometimes be overwhelming. 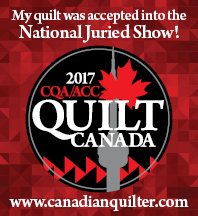 The key to success in quilting (and in life!) is to stay motivated by setting long-term and short-term goals for ourselves. And, of course, when we reach those goals, we need to reward ourselves…with chocolate! When I have more that just a few circles to make, I need to stay motivated. I reach for my Perfect Circles by Karen Kay Buckley, I make a cup of coffee, I crank up the music and I have some chocolate handy! How much chocolate I have depends on how many circles I need to make…..lots of circles means lots of chocolate! Before I know it, the circles are finished and I am ready to move on to the next step of the block. I am prepping the 4th block of The Civil War Bride Quilt. It also has more than a few circles on it! It has some interesting loopy tendrils made from bias strips. Here is a little tip I use for making really curvy bias pieces. I used the same technique for making the handles on this basket. So easy! First, I make the bias strip using bias bars. Here are a few tips for using bias bars. Next, I put the paper pattern on a padded surface, like an ironing board. Then I place the bias strip on the pattern and put a few pins where I want to start. I dampen the bias strip with starch and then use the mini-iron to “mold” the bias strip into place. Once it is dry, the bias strip will actually hold its shape. You can pick it up and toss it around! Glue in place and you are ready to stitch! « A Solution for Every Problem! Thanks! Hope you give it a try. Hi Missy: I love my little iron. It is made by Prym-Dritz. It heats up like a regular iron. I used to do my applique using the needleturn method until I took a class with Pearl Pierra at the Applique Academy three years ago and learned this “new” method and have never looked back!! there was a bit of a learning curve, but really worth it! Wonderful tutorial. I have always wondered how to get the curvy bias to work properly and STAY! Thank you! You are welcome! Bias can be a lovely thing when it behaves!! Brilliant! I am going to revisit this post as I get ready to prep my own CWB block. Love how you handled the curvy bias! chocolate – such a wonderful motivator! loved the lesson too, thanks! I will definitely give this a try when making curvy bias.